Working with data in Excel often requires you to rank data. 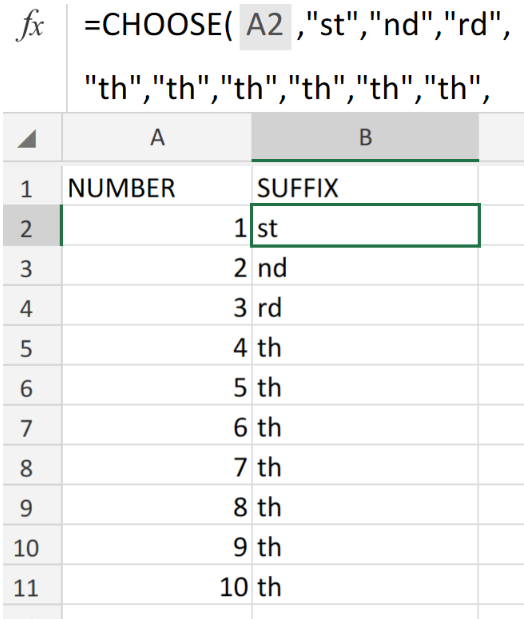 Excel has a built-in RANK function for this purpose. But the RANK function has some limitations. 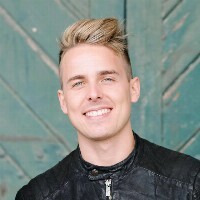 One of them is RANK fails to rank data uniquely when there is duplication. You can use a neat little trick to overcome this shortcoming. 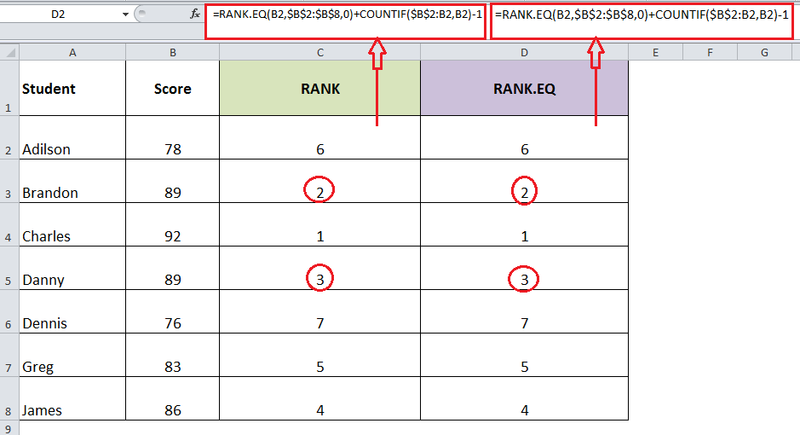 Using two COUNTIF functions together help us to rank data even if there is duplication. 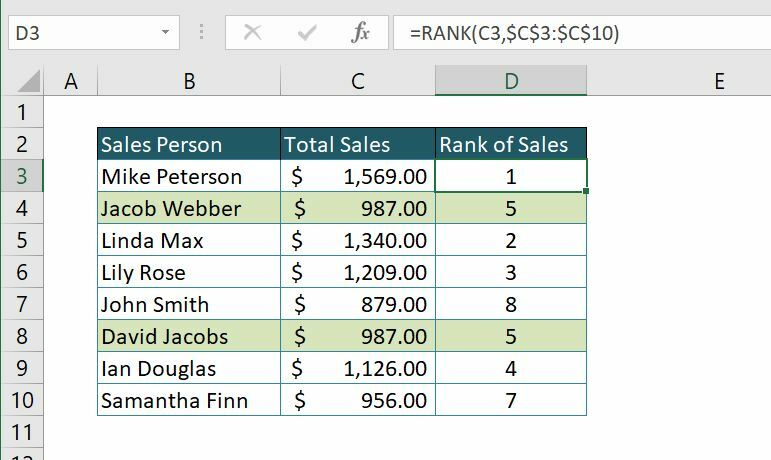 The COUNTIF function can also be used to rank data based on multiple criteria. In this tutorial, you will learn how to rank data using the COUNTIF function. You will use a high school soccer league point table data set in the next example. There are two pairs of duplicated values in this example. 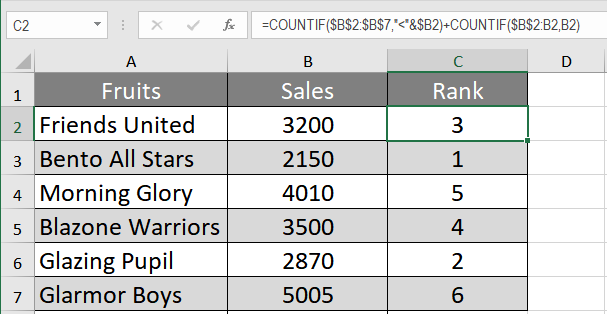 Using the RANK function in column C, we get the same rank for duplicated values. Go to cell D2 and select it with your mouse. Apply the formula to =COUNTIF($B$2:$B$8,">"&$B2)+COUNTIF($B$2:B2,B2) cell D2. Drag the formula to the cells below. 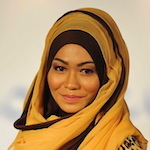 This will rank all the values uniquely in column C with no repetitions in descending order. The first COUNTIF function is used to find out the number of values greater or less than the number that is going to be ranked. The second COUNTIF has an expanding range $B$2:B2 and extracts the number of values that are equal to the number. Apply the formula =RANK.EQ($B2,$B$2:$B$8)+COUNTIFS($B$2:$B$8,$B2,$C$2:$C$8,">"&$C2)to cell D2. This will show Blazone Warriors ahead of Bento All Stars in the rankings. The first formula with the criteria ($B2,$B$2:$B$8) counts the number of times the values appear. The formula performs a row-wise check for the value as you have an absolute reference but a relative one for the rows ($B2). The second formula with the criteria ($C$2:$C$8,”>”&$C2) checks how many goal differences are greater than the one being checked. This returns 0 for Blazone Warriors. However, Bento All Stars has 1 returned as the other team has a higher goal difference. Go to cell C2 and select it. Apply the formula to=COUNTIF($B$2:$B$7,"<"&$B2)+COUNTIF($B$2:B2,B2) C2. Drag the formula with your mouse to the cells below. This will rank the sales in an ascending order. I need to convert a number that I found using countifs formulas into a percentage. require assistance on using countifs and counta forumula, unable to dervie. I have win/loss columns for player stats and I need help using rank and percentile data analysis tool......I want to be able to pull up the player name using vlookup next to the rank and percentile table but I don't know how to do that; please and thank you! Count of drivers in each child zone using "COUNTIFS".